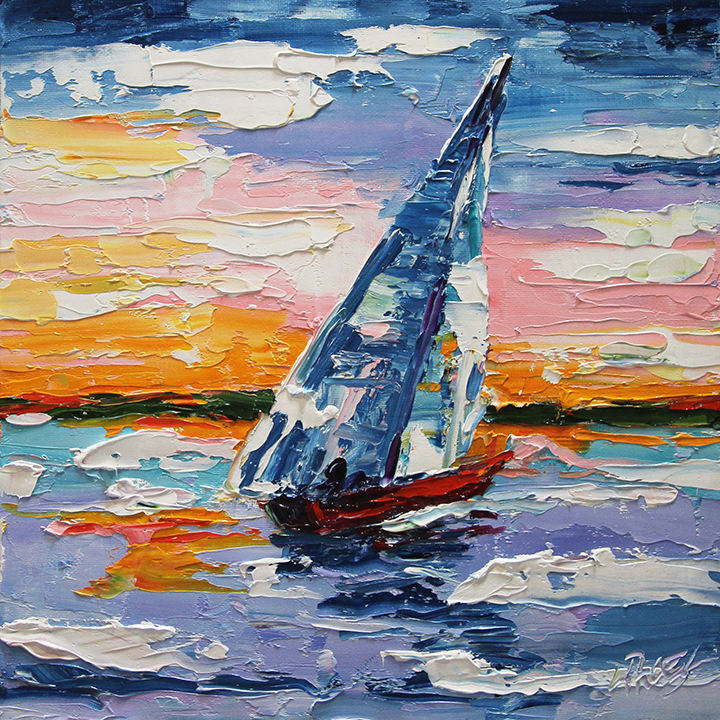 Small sailboat painting but I LOVE the globs of paint on it. Makes everything feel ABUNDANT! If we stop and take stock of what is around us, most of us live in abundance. Do you have food to eat? Do you have a place to sleep? Do you have shoes and clothes to wear? Do you have the freedom to walk and go where you want to go? These are only simple things, but I realize more each day the abundance I have in my life that has come through the Father. Most of us have nice homes, cars, money for food and going out to eat, which if I were to guess, most of us do quite often. We do not think twice when we go shopping for food or clothes, shoes, or just spending money on household stuff. When John spoke about "abundant life" in the Bible, John 10:10b "I am come that they might have life, and that they might have it more abundantly." His reference to abundance is your life abounding with fullness of joy and strength for mind, body and soul. Be grateful for everything you have not just physically but mentally and spiritually. Start your days focused on the Lord thanking him for the abundance in your life spiritually and physically. Rise early, pray and exercise before you eat. Keep your heart and eyes open for opportunities that are before you. Make the most of those opportunities. Build Friendships along the way and keep your family strong and close. Relationships are one of our sweetest gifts. Enjoy your life. Enjoy your quiet times, your alone times and your busy times.